Most dogs lie around the house all day, waiting for us to get home from work. Even if you bring them to work as George is, your dogs probably still get a lot of downtime(much like George chooses to). That’s one of the reasons dogs really (like REALLY) look forward to dinner time! It’s an exciting break in their day, although for most dogs, meals only last for a very short moment and then it’s back to sleeping (especially one raw). Life often gets in the way and as much as we want to, we often can’t spend as much time with our dogs as we’d like. We all wish we could give them more exercise and entertainment. 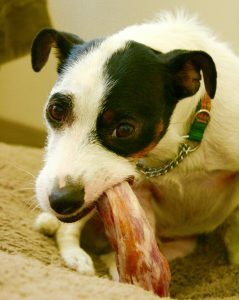 Ripping into a nice big bone is one of the best activities your dog can do! Have you ever gotten caught up in a great book and spent hours devouring it? That’s exactly what recreational bones are for dogs, they’re a relaxing way to spend time and even get some exercise. Ripping and chewing on bones is a super muscle-building activity for your dog … it builds a strong neck and spine. Bones are also nature’s toothbrush … that chewing removes plaque and tartar from teeth and freshens breath. But don’t just grab any old bone. The type of bone you give your dog matters … choose the right bone and you’ve given your dog an afternoon of fun activity. Choose the wrong bone and your dog could end up in the emergency room! I’m not saying this to scare you off bones … in fact, bones are your dog’s best friend! You just need to choose a bone that matches your dog’s size and chewing habits. Raw bones are an important part of a raw diet. There are two types of recreational bones for dogs: long bones and flat bones. Long bones are the bones normally found in the legs and wings of animals. These bones are made for weight bearing and because of this, they tend to have a hard, smooth surface along with a center filled with loads of marrow. The ends of these bones are soft and contain a lot of cartilage. 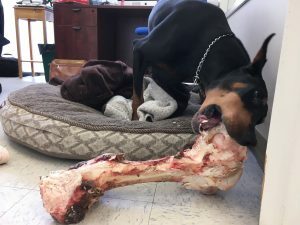 The size of the bone (and the dog) determines how safe the bone is. In general, recreational bones are meant to be more of a mental and physical stimuli rather than a crucial part of their diet. A good rule of thumb is to give a bone that is around the same size as their face. 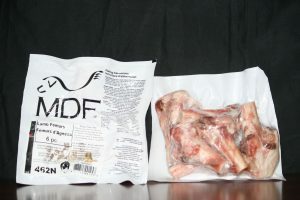 Big enough for your dog to scrape off the meat, and lightly chew on the bone. but not too big that your dog consumes too much marrow and bone and not so small that they could easily choke on it. Bones from cows, moose and other large animals are generally good choices for large chewers. 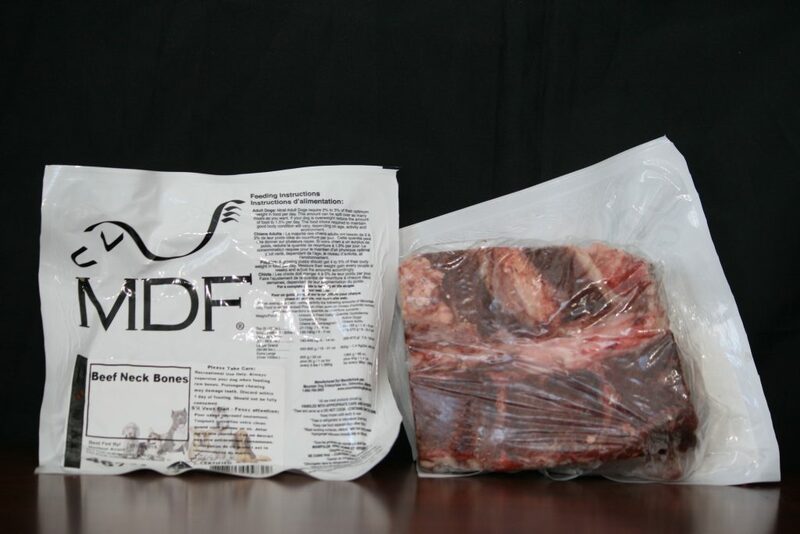 Some good choices for large dogs include beef neck bones, beef femur bones, and beef knuckle bones. choice for larger breeds, so if your dog is small to medium sized, these would be great choices as an afternoon chew. 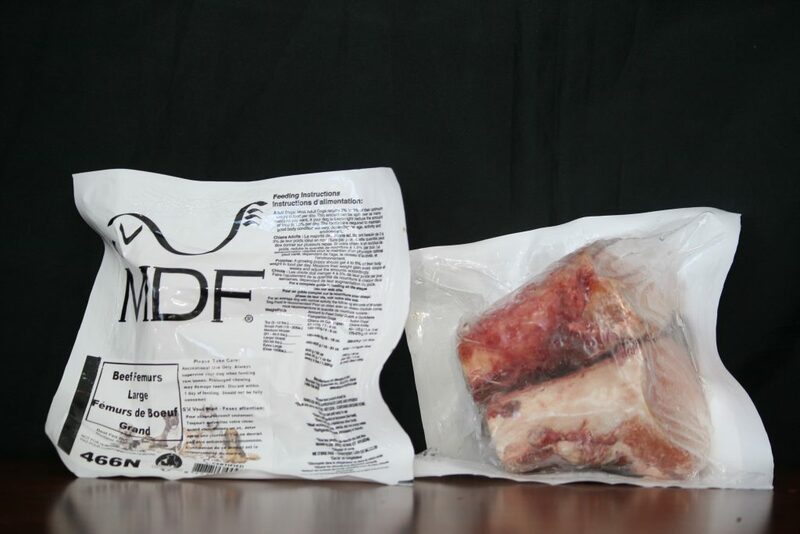 Safe choices include small beef femurs, lamb femurs, and smaller beef neck bones. Edible bones, such as turkey necks, or chicken backs are generally safe for allsizes of dog. They are great for cleaning teeth and can make a great meal but they shouldn’t be used as recreational bones. Chewing rec bones, although safe, can create problems in your dog if your bone choices are poor. Never feed cooked bones of any kind! Cooking bone turns its soft squishy make up into a hard brittle impaction making morsel that you should never give to any dog. If your dog does consume cooked bone, feed your pup white bread as soon as possible. White bread will cover the bone and hopefully give it safe passage through your dogs digestive tract. Any weight bearing recreational bone has the potential to chip, break, or fracture your dogs teeth. Long bones are quite hard on the surface and can break your dog’s teeth. Flat bones are a better choice for medium to large size dogs because they’re much softer and harder to clamp down on. 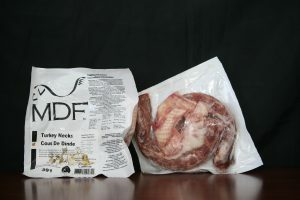 Flat bones will also last longer because they have interesting, craggy surfaces that hide the meat better than long bones, making them a much more interesting chew. As bones dry out, they can also become brittle so don’t leave your dog’s bones lying around for days or you’ll be sure to see a cracked tooth sooner or later. Let your dog chew on them for a day or two, then toss them in the garbage or organic bin. Rib bones are especially prone for this. Dogs who are new to bones, or dogs eating more bones than usual, can suffer from loose stools. This is normally caused by the rich and fatty marrow inside the bone, too much is a bad thing. Long bones contain more marrow than flat bones, so flat bones may be a better choice if loose stools are a problem. The Canadian pet food industry is not government regulated, when purchasing or looking for bones ensure that they come from a manufacturer that has acquired third party inspections and are monitored in their manufacturing. Great icons to look for on the packaging would be HACCP, CARPFM, or any legitimate manufacturing guideline for food safety. This ensures safety for you and your pet when it comes to raw food. Protecting you from harmful bacteria and potential pathogens as well as it gives you peace of mind that you are feeding your dog a bone that came from a healthy animal. Eating large amounts of bone can cause constipation in dogs. You might see white or yellowish, powdery stools or even yellow, runny stools. It’s important to check on your dog to make sure he’s gnawing on the meat and not chomping down too much bone. if not, send your favorite pet store our way and we can help get some food to you. Thanks for reading! 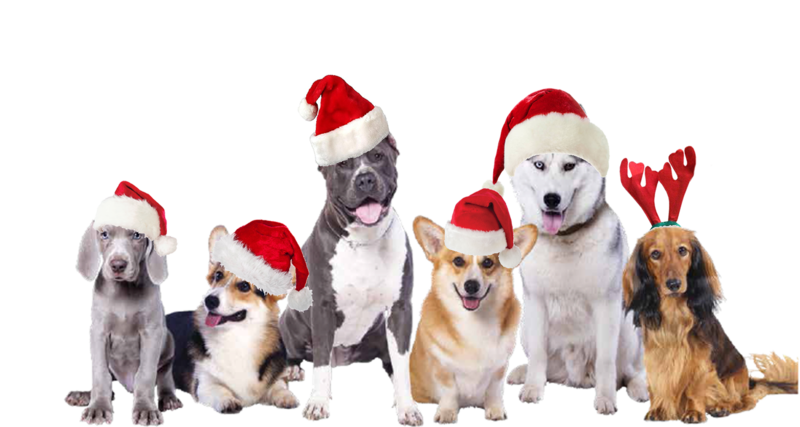 From all of us here at Mountain Dog Food, have a tail wagging day!